Reduce your MIP and loan costs by as much as 40 basis points! Once the required score is achieved, ICAST clients can maintain their ENERGYSTAR score through continuous utility bill monitoring. Energy Performance Contracts, Property Assessed Clean Energy, and Pay For Success are alternative financing methods used to fund building improvements that reduce resource waste and increase operational efficiency. ICAST can help you arrange the techniques below to use utility savings from reduced energy & water consumption to repay the cost of building upgrades. A power purchase agreement (PPA) is a financial agreement where a developer arranges for the design, permitting, financing, and installation of a solar energy system on a customer’s property at little to no cost. The developer sells the power generated to the host customer at a fixed rate that is typically lower than the local utility’s retail rate. This lower electricity price serves to offset the customer’s purchase of electricity from the grid while the developer receives the income from these sales of electricity as well as any tax credits and other incentives generated from the system. RAD was created by HUD to enable Public Housing Authorities (PHAs) to take on debt to preserve and improve public housing properties. This program helps to address the $26 billion dollar HUD backlog of deferred maintenance. ICAST Consulting helps PHAs take advantage of this public-private partnership, and can offer guidance on how to capture more rent through the RAD Green Incentive. RAD also gives owners of three HUD “legacy” programs (Rent Supplement, Rental Assistance Payment, and Section 8 Moderate Rehabilitation) the opportunity to enter into long-term contracts that facilitate the financing of improvements. ICAST knows the multifamily housing market inside and out. No one is better positioned to advise property owners and managers on off-balance-sheet financing, tax incentives, utility rebates, and other options available in project planning. Manage total energy use, target inefficiencies in your portfolio, and identify priorities for cost-effective property rehabilitation. Conduct ASHRAE Level 1, 2 or 3 energy audits that meet program requirements for HUD, USDA, or state Housing Finance Agencies. Understand your property’s energy consumption, potential returns on capital investment, and lifecycle costs with projections from modeling software. Get your ENERGY STAR rating and assistance developing a comprehensive green improvement plan to meet any green certification requirements. Access financing for your retrofit using Power Purchase Agreements, Energy Performance Contracts, Property Assessed Clean Energy, and Pay For Success programs. Utilize full design-build services in Colorado and New Mexico; get assistance procuring a local general contractor for installation nationally. With the release of HUD’s Mortgage Insurance Premium (MIP) reduction notice, as well as release of HUD’s 2016 Multifamily Accelerated Process (MAP) Guide, there has never been a better time to obtain an ENERGY STAR rating and green certification. 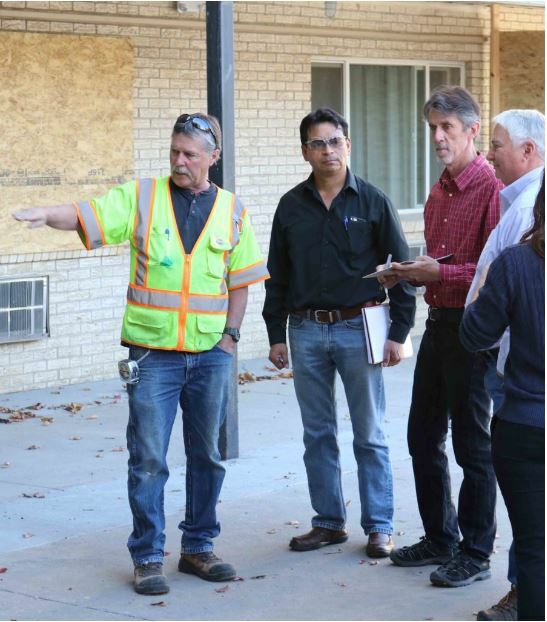 If an existing multifamily property has an ENERGY STAR score of less than 75, ICAST Consulting can determine the best method to raise the score through an energy audit, modeling, and building retrofit. Property owners can use an Energy Performance Contract to pay for today’s facility upgrades with tomorrow’s energy savings—without tapping into capital budgets. Property Assessed Clean Energy is a simple and effective way to finance energy efficiency, renewable energy, and water conservation upgrades to buildings. Pay For Success is an innovative financing mechanism that shifts financial risk from a traditional funder—usually government—to a new investor, who provides up-front capital to scale a program. RAD allows PHAs to leverage public and private debt and equity to finance property improvements as you convert units to PBRA or PBV. Green improvements added to the property rehabilitation will lower utility bills, helping you increase your net operating income, access greater financing, and raise the rents through the RAD Green Incentive. ICAST can help you access this Green Incentive, as well as additional financing and federal incentives.